Mules come in many forms. Some are loud, opinionated, and adversarial. A pleasant mule is stubborn in a beauty queen’s skin. Beauty queen mules are more dangerous than conspicuous resistance. You end up tolerating negative behaviors and poor results because you falsely believe performance will improve. Beauty queen mules seem humble, even as they kick back. Subtle forms of blame are normal and pervasive. Beauty queen mules can’t accept the thought that they’re responsible. 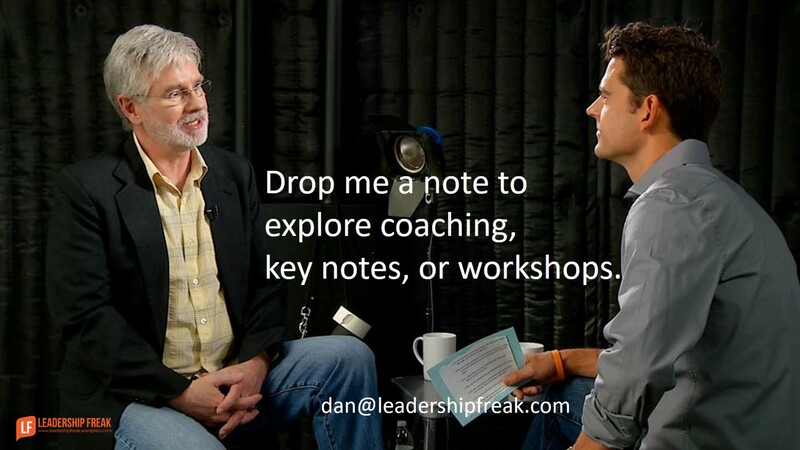 Suggestions or ideas that might improve performance are seldom, if ever, good enough. Hope is destructive when disappointment becomes a pattern. #1. Stop defending your ideas. Beauty queen mules love explaining why your ideas won’t work. Input isn’t good enough to cause them to actually change their behavior. #2. Stop offering advice. The moment you realize that suggestions are never good enough, stop offering suggestions. Stiff-necks don’t want to change. They want others to change. #4. Establish consequences. “This is what’s going to happen if things don’t improve.” The only thing that might help a stiff-neck is suffering. #5. Set a deadline and remove them if performance or relationships don’t improve. Don’t let hope be the reason you tolerate a mule while others suffer. 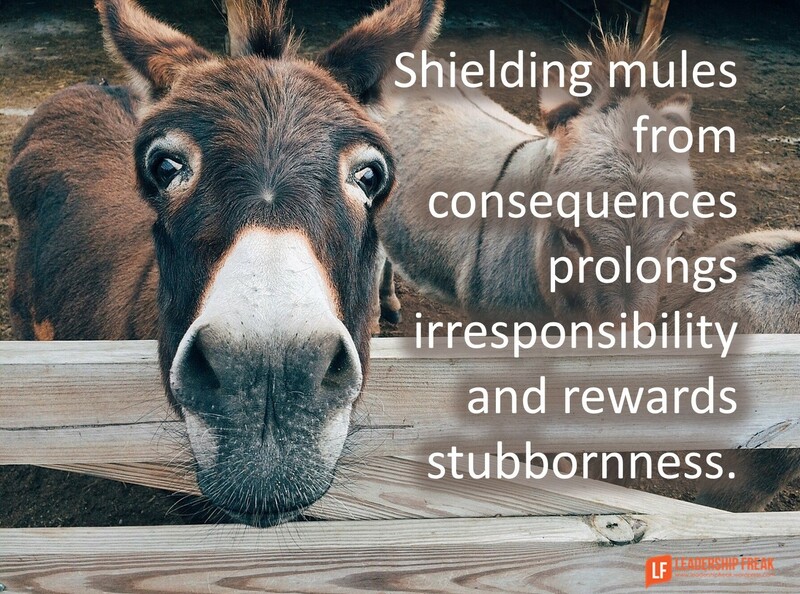 Shielding mules from consequences rewards stubbornness, prolongs irresponsibility, and discourages teams. How might leaders identify and deal with beauty queen mules? The way you describe a mule sounds like a narcissist or a sociopath who thinks they are the smartest in the room. Totally agree. I truly believe they think they are the smartest in the room. But you know, in reality I suspect they don’t know any better because they haven’t seen better and can’t imagine better. What stood out to me most here (in reference to your question) is watching performance. Are there deadlines set for your team? Are those deadlines met? Having regular one and ones with your team members as well is huge in being able to see tendencies that might be unsavory. However another perspective that was laid on my heart is what beauty queen mule tendencies might we as leaders possess? I know that I struggle with deadlines and taking action at times. Are we able to see how our own flaws are being mirrored by our teams? This may not have been intended this way, but this was a great self-awareness piece for me. We’ve been experiencing Beauty pageant mules for a year now. Events transpired pretty much exactly as you described, with excuses and negativity shoved at any ideas or suggestions for improvement. It wasn’t helped by the mules being long term employees and politically connected. – years of succeeding by blame and avoidance meant it became the culture of success. To break the cycle I stopped “helping”, let them run things their way but ensured it needed to match expectations by 3 months. After three months, when things were even worse than before, the mules were moved out of leadership roles. It was an easy call because they had created their own burning platform for change and with no excuses it was clear it was just them. Productivity remarkably improved, learning commenced and the political and peer pressure that once protected now condemned the old culture. The prognosis for the company is now great. Culture improving. Productivity improving. People enjoying their work again. My grandfather farmed with mules because they pulled harder and worked longer than horses, but they are stubborn. He said it was no problem. Harness a mule to the plow, bust a two-by-four over his head, and the mule will respond to the reins all day. Why? Because you first had to get the mule’s attention. Once you had their attention, they worked hard all day. Yes, it’s important to understand both the political standing of the beauty queen mule (bqm) in the organization, as well as the situation where the bqm doesn’t report to you — but interacts with you and your Team. Then even a data filled analysis presentation of why something is or isn’t working, is discarded in favor of the politically connected bqm and their simple (but deadly) repetition of why the issue must fall on the other. That becomes a challenge in patience, perseverance, strategic thinking, and making sure you continue to flood the meetings with objective, irrefutable data. At some point, the data can’t be completely ignored — but it can take a while to get to that point. The bright side of this — you and your Team may end up doing exceptional work– just to prove the bqm was wrong! I had one of these on my team a few years back at another company. As a manager, it was one of the most challenging personnel issues I had at the time. It takes a lot of time and energy to manage a mule. I like Rob Mc’s approach. They often can’t meet expectations, and this way provides an exit strategy if there is no improvement. Personally I like camels. At the beginning of a journey they may make some noise, but they have the capacity to be in it for the long haul… and travel well with other camels. FYI – Despite what you’ve heard, they only spit when they aren’t being treated well. This is remarkably TRUE. Thanks, Dan. Confidentiality Notice: This e-mail communication and any attachments may contain confidential and privileged information for the use of the designated recipients named above. If you are not the intended recipient, you are hereby notified that you have received this communication in error and that any review, disclosure, dissemination, distribution or copying of it or its contents is strictly prohibited. If you have received this communication in error, please notify me immediately by replying to this message and deleting it from your computer. So, how do you handle a beauty queen mule when they are the boss? I tried all of the techniques used above and nothing ever changed – after 4 1/2 years of trying. I finally left when it just became too much to endure.